Garden Eight’s website about bullying gives users a chance to regain that spark to fight back. Background: As a special site handling bullying, I used many emotional expressions in this short film project to make users think more about this social issue. I used a lot of interactive presentations intended to touch users’ hearts, hoping they would have time to think and relate to bullying, regardless of their experience with it. 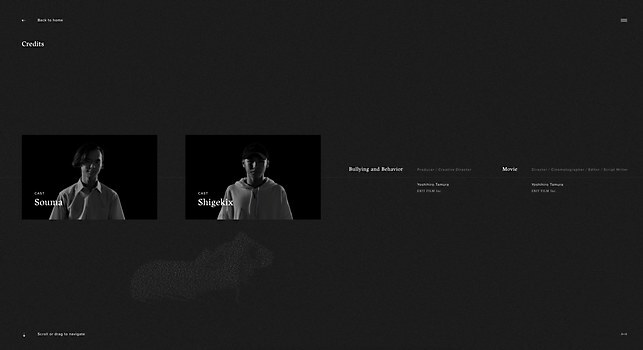 Highlights: The navigation, the design and the animation of the line in the middle of the site. This line represents the border against bullying. 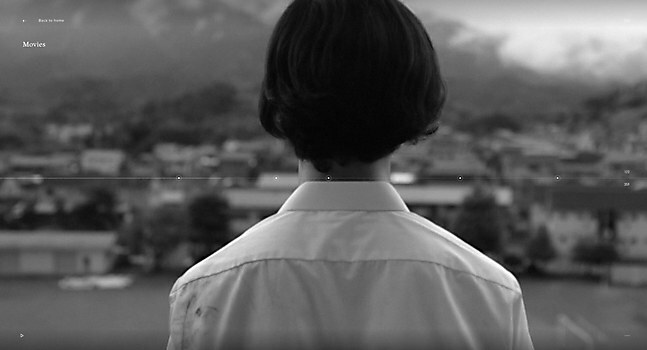 We had also thought about putting WebGL effects on the black-and-white video while video shooting. Users can enjoy interactivity with the mouse moving around the “About” and “Credits” pages. 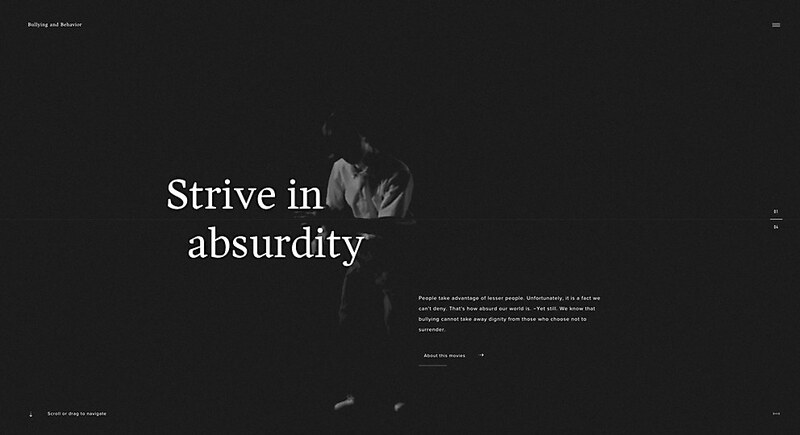 I also tried to put technical trends like seamless transitions, animations and a drag menu. Time constraints: Since we didn’t have any specific deadlines for this project, it was difficult to control the quality and find time to work on it. It took one month for the site design and prototype and two months for site development. Anything new: I realized the importance of daily input and output when it comes to site creation. I also learned a lot of new skills and I made use of these for video processing and development. I used Webpack to help me with the development. I also learned how to control files as a module on functions and pages. Now, I can work on something more complicated. 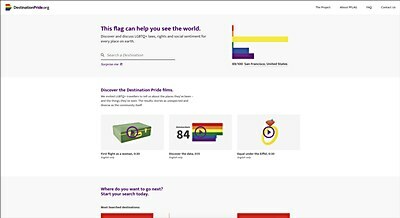 Designed by FCB/Six with PFLAG Canada, Destination Pride uses all bars of the Pride flag to help LGBTQ+ travelers garner a sense of global equality laws. 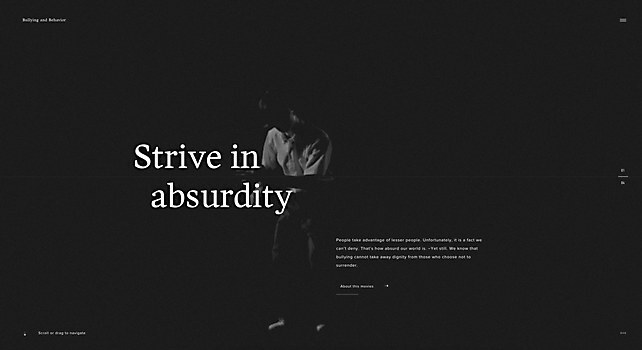 Carter Hales’ site for Paxson Fay reflects the Seattle-based marketing and communication firm in a simple yet playful way. 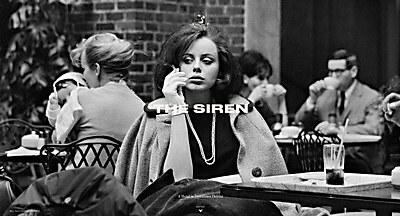 Watson & Company’s site for The Siren Hotel calls users to explore the beauty of this newly renovated upscale hotel.